Freak's paradise !!! : Chandrakant Bakshi - The 4th quarter... !!! KSHAMA VIRASYA BHUSHANAM... ( Forgiveness is the jwellery of the Brave... )"
I believe I was in 11th when I came across 4 people... who In a way, were going to change the way I thought. I didnt know these people particularly. It was their books, their thoughts and their arrogance which attracted me. I used to read Chacha Choudhary, Gujarati Suspense Thrillers and some English ones by James Hadley Chase... and then I was given these 4 books by my dad and uncle. The first one was Jonathan Livingston Seagull by Richard Bach, The second one was Les Miserables by Victor Hugo, The third was a collection of poetry, collected in a span of many years by dad. and the last one was Bakshinama by Chandrakant Bakshi. Each of these four books, now seems that, shaped a quarter of my the way I think. I had never seen a writer's ability to surprise more than Chandrakant Bakshi. He used to write with a sword and not a pen. Just came to know that the best Gujarati writer, the man who shaped not my life but the way I think right now, the person who bred stubbornness and arrogance in me is no more... the fourth quarter is gone... I wish god best of luck when he faces Chandrakant Bakshi. "Sarna, You know, why did I start drinking ? A strong man told me one peg is equivalent to one dose of suicide. 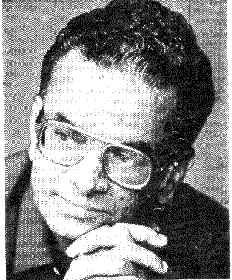 I liked what he said - "
u r absolutely right...no one, except a hypocrite by birth, can be aloof of the impact of Bakshi's writing...he has moulded a generation's way of thinking...love for readers, naked truth and immense honesty are the soul-features of his writing...the greatest loss to become his fan is we don't like others' writing (exception: Osho)... and the loss doesn't make any difference...Bakshi is enough. Read a page from any of the book. You will see 10 quotes in it. All unique and as you said, written with Sward. so I want to read Bakshi. Now he has written around 150(i m nt sure) books..and I am not sure which one to read first.